The index after the mayhem seen yesterday, opened flat to negative, but after staying flat during the initial hour of trade went down to touch the lows at 8065 but saw some buying interest at lower and closed just above 8100 at 8102.10, small loss of 25.25 points. The broader market was also weak, with 646 advances to 892 declines. 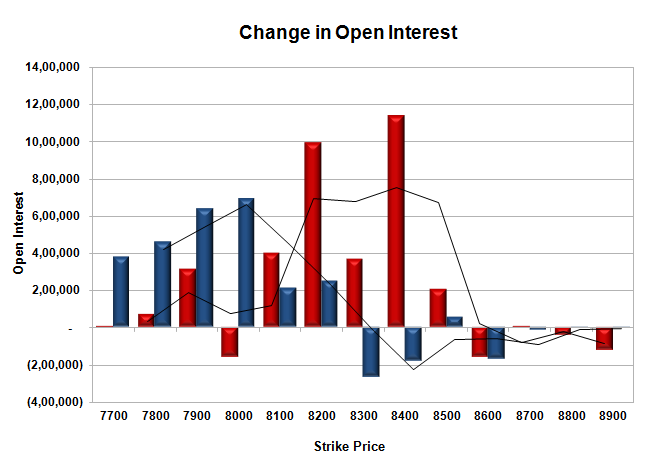 The Range as per OI Table has narrowed down to 8000-8400. Call option 8100-8500 added huge 31.07 lacs OI with profit booking seen at 8600 and above strike prices. 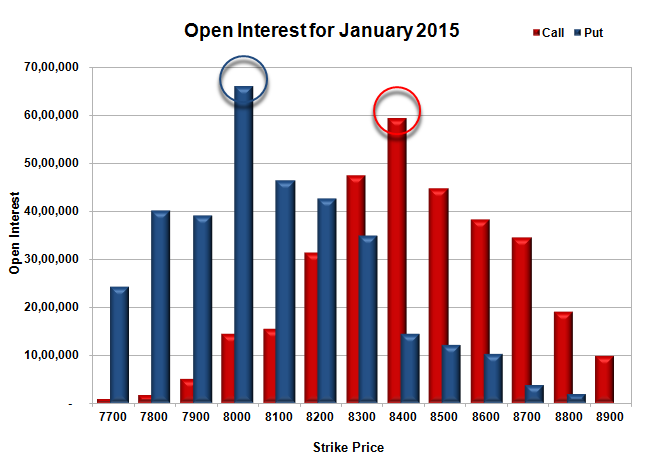 Put option 8200-7700 added huge 26.30 lacs OI with short covering seen at 8300 and above strike prices. Nifty Open Interest is at 1,87,16,025 down by 4,41,750, with decrease in price, most probably huge long liquidation. Bank Nifty Open Interest is at 22,21,050 up by 23,225, with decrease in price, most probably short build-up. FII’s sold 2.99 lacs Futures, which includes 23479 contracts long liquidation and 11525 contracts short covering, with decrease in net OI by 35004 contracts (includes 64364 longs to 76318 shorts for the day) and the Average Price comes to 8530.66. FII’s Index future open contract as on date is 455217 Longs to 89666 Shorts, net long 365551 down by 11954 contracts. Initial support still at 8100, with huge OI of 46.52 lacs and below that at 8000 with highest OI of 65.94 lacs. Initial resistance at 8200, with huge OI addition of 9.92 lacs and above that at 8300 with OI of 47.41 lacs. 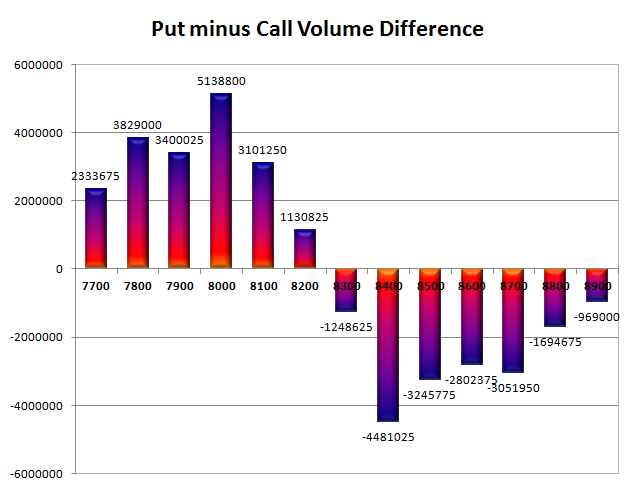 Day Range as per Option Table is 8027 - 8187 and as per VIX is 8025 - 8179 with 8106 as the Pivot.